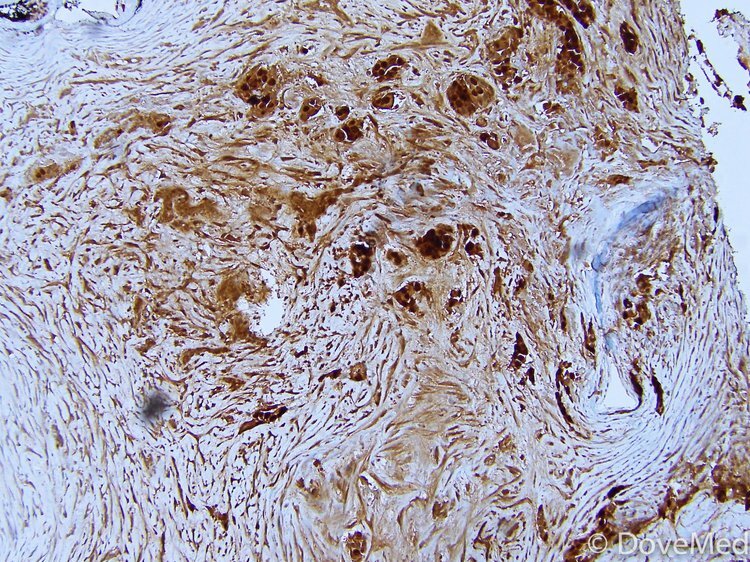 Microscopic pathology image showing metastatic prostate carcinoma to the bone which stains positive for Prostate Specific Antigen (PSA) on immuno stain. There are two types of Prostate Specific Antigen; free Prostate Specific Antigen and Complex Prostate Specific Antigen (PSA-bound to protein). Usually, the PSA Blood Test refers to the total Prostate Specific Antigen (both free and complex PSA). The Prostate Specific Antigen Test is a good tool to detect prostate cancer, though not a perfect one, because PSA levels are increased with many other conditions, like benign prostate enlargement, old age, prostate infections, and with interventional procedures, like cystoscopy (a procedure used to visualize the bladder). What are the Clinical Indications for performing the Prostate Specific Antigen (PSA) Blood Test? 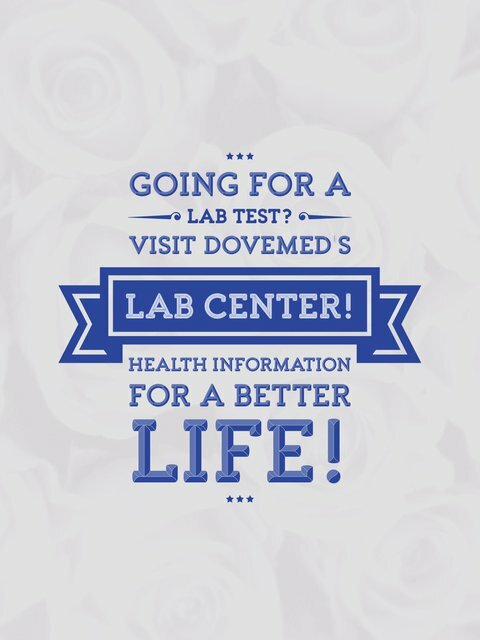 There is no specific data regarding how frequently one has to be tested. It is dependent upon the condition of each individual patient, and based on the healthcare provider’s judgment. How is the Specimen Collected for Prostate Specific Antigen (PSA) Blood Test? Process:Insertion of needle into a vein (arm). What is the Significance of the Prostate Specific Antigen (PSA) Blood Test Result? In individuals already diagnosed with prostate cancer, PSA values should decrease with treatment.If concentrations do not fall to very low levels, then the treatment has not been fully effective. Following treatment, the Prostate Specific Antigen Blood Test is performed at regular intervals to monitor for any cancer recurrence. Since, even tiny increases can be significant, those affected may want to have their ‘monitoring’ PSA Tests done by the same laboratory each time, so that testing variation is kept to a minimum.